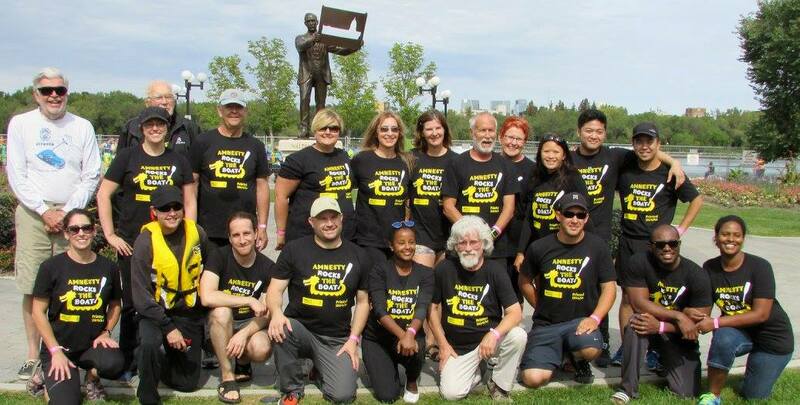 Regina’s Amnesty International Group’s dragon boat team, Amnesty Rocks the Boat, will be entering the Regina Dragon Boat Festival for our 8th year! The Festival is the evening of Friday, August 31st and all day September 1st, 2018. This will be our 8th year in the Regina Dragon Boat Festival. We do it to have fun and also to raise awareness and create visibility for Amnesty International. Be sure to come out and cheer on our team!!!! We will post our race schedule as soon as we have it.